We are excited to launch our debut Fashion Show at the market on Friday 31st May. Doors open 6.30pm, the show starts at 7pm. Tickets are £6 or £5 for groups of 3 or more which includes a glass of fizz!! 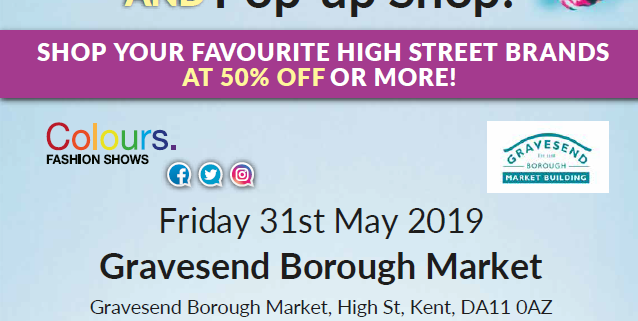 Tickets must be pre-booked via email to info@visitgravesend.co.uk or call 01474337600 (open Thursday to Sunday).